Your staff’s writing is like a handshake. To clients and prospects, it’s one of the first, most visible ways they’ll get to know your business—whether done well or poorly, it will leave a lasting impression. And, listen, we know: technical, business, and scientific writing can also be a tedious, frustrating slog. But, like anything worth doing, mastering it takes practice. And in our customized onsite workshops, that's what participants get: real strategies and lots of practice. And to ensure relevance, we don't use some made-up exercises that have no relevance to the writing they do; the writing they do in our classes is based on the writing they do in the workplace. Excellent teachers don’t hurt, either. And our teachers have experience working with a variety of professionals who have different writing skills, educational backgrounds, and understanding of how to write effective documents. Here’s the thing about writing: writing is only half the job. The other half is understanding how your reader(s) read, what they expect, and how they're going to use the document. If your writers don't know understand how to engage with their readers, connecting with your clients, team members, and customers is difficult, if not impossible. That's why the foundation of our professional writing seminars is readability studies. This research gives writers the tools to make good choices about how to write for their specific readers. In short: when your team understands how readers read, they'll know know what to say to them, and how. You know your team has great problem-solving skills; if they didn't, you wouldn't have hired them. Give them the tools they need to take those same problem-solving skills and apply them to the writing process and you'll have a team that spends less time writing but that writes more cogent, targeted documents. And what could be better than that? The bottom line is this: our customized onsite business writing training works because we teach professionals real strategies they can use immediately that help them streamline the writing process and write more effective, easy-to-read documents. Before you spend money on writing courses for your team, talk to us. 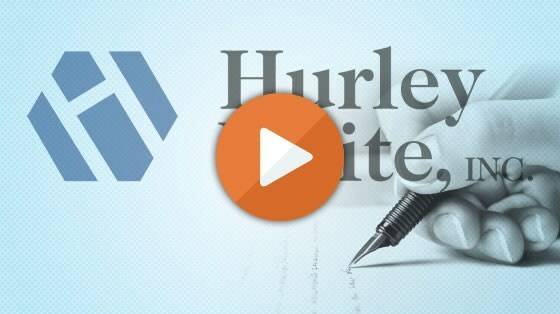 We’ll show you how our writing workshops are different and how a Hurley Write course will help your team achieve positive, long-term results. Want more? Check out our client list or contact us; we’re happy to provide references, evaluations from writing courses we’ve taught, or a no-cost consult. Need a speaker for your annual meeting or conference? Our team of highly-qualified professionals will design an engaging, interactive presentation on technical or business writing. Contact us for more info!